We have always used Garden Grocer to deliver groceries to our resort. I've been happy with them in the past, but was thinking about trying Prime Pantry for our July trip. Has anyone used Prime Pantry and have feedback on them? One thing I like about Garden Grocer is they give a delivery timeframe and the groceries can be stored at the front desk. Does it work the same way with Prime Pantry? And do they deliver fresh foods and perishable items? 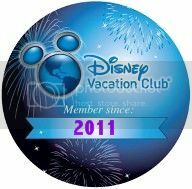 I'm going to do a little research tonight, but thought I'd ask my DVC peeps first about your experiences. Last edited by avsheffi; 06-06-2018 at 10:24 AM. On our last two trips we ordered via Amazon Prime Now. There are two hour delivery windows and you can pick which you want, up to 10 pm (I think). The order is held at Bell Services and they will deliver to your room when you get in. We just had to call and let them know we were there. We had a variety of items including some refrigerated, which were still cold when we received them. Highly recommend Amazon. I'm all for supporting local businesses but the price difference cannot be ignored...local delivery items are in general at least twice the price. Will have to try Prime Now on our next trip. Used Instacart for the first time our last trip and that worked out really well also. Have a prime account and always forget about these added options/benefits. I know you asked about PrimeNow, but wondering if anyone has done delivery from SuperTarget? I think they use a delivery service called Shipt(? ), but also have a pick up option. Used Amazon Prime now in January at both GFV and BLT. Both worked great. Very simple to use on phone and add items and will come to room within 2 hours as long you order before cut off time. Prices were reasonable. Left bags at bell services, who would call us upon arrival to deliver. Easy stuff. So is Prime Now the same as Prime Pantry? I did NOT have a good experience with Prime Pantry on my last trip. I stayed at Boardwalk and expected to have my groceries when I checked in (they were due to be delivered that morning). When I checked in, they weren't there. I was told by the front desk that Prime Pantry is stored along with all of the other 'packages' that are delivered (think FedEx, UPS, etc.) and held off site. They said they would need to send someone out to the offsite location to pick them up. A few hours later, I checked in again at the front desk and I was told that the package delivery offsite location was closed and they'd have to try again in the morning. The next day, I checked in and they had no record of my request to retrieve my groceries. I had to submit another request and it took them a few hours to go and get it. Maybe it was just because I didn't order anything that needed to be refrigerated? I haven't tried Prime Now at WDW, but I use it occasionally at home and have been very happy. I think for this trip we may either consider that or maybe WalMart's new delivery service. I will not be using Prime Pantry again. Nope, they're two different options, though both are grocery focused. When I used Prime Pantry, it was something I ordered a few days ahead of time and was delivered the same way any other Amazon package would be delivered. Prime Now you can order groceries to be delivered typically within 5 hours of when you place the order. I think Pantry is more for recurring non-perishable orders (think toilet paper and bottled water) and Now is for perishable groceries. Prime Pantry and Prime Now are different. Prime now is more like Amazon fresh but more limited and only available in certain areas. Disney is one of those areas. The nice thing is you can have multiple addresses in your Prime Now Profile, so as you stay in different resorts, and order groceries, the addresses are added to your profile. Next time you stay there you can just select that address.